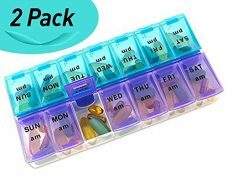 Why MEDca 7 Day pill organizer is a must buy? 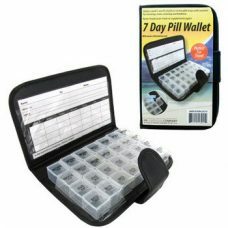 MEDca 7 Day pill organizer is the ultimate choice for those who are in long term medication and have to travel a lot at the same time. The organizer is pocket-sized and comes with the most user-friendly design. It’s in the heptagon-shaped and has seven compartments with separate translucent lids. Unlike other medication storing plastic boxes, ours don’t give away any sort of smell. The freshness or value of your medicines won’t disappear. Yours pills be as fresh as ever even if stored for months. The plastic used is of precise quality and won’t release any harmful toxins. Do you forget to take your vitamins when you travel? Do you forget if you had your medicine for the day? Dont worry! 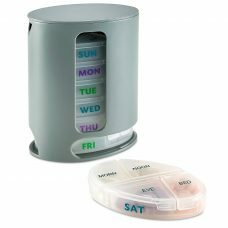 MEDca 7 day pill reminder with seven compartments and separate week-day labeled translucent lids is the ultimate solution to your problem. The boxes are extremely strong as they are made from superior polymer. You must have noticed that some plastic boxes easily crake or lose shape when certain force is applied. 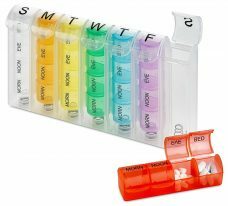 You don’t have to worry about this with our pill organizers as these are strong and long lasting. 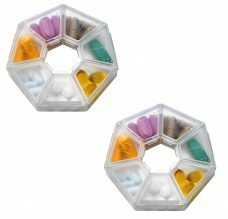 We are offering this MEDca seven sided pill organizer at the cost of one for limited period. Make your purchase till the offer persists! To take full advantage of this twin offer today, just click the Add to Cart button above. 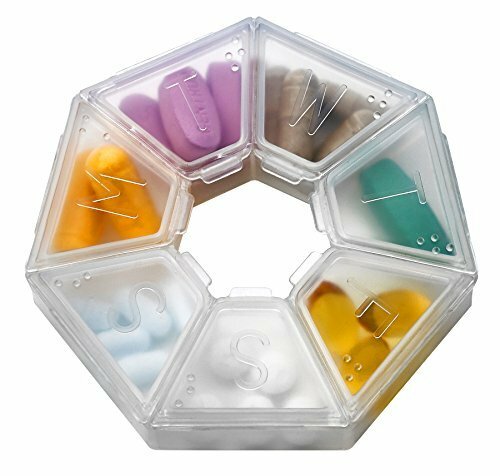 UNIQUE PILL ORGANIZER: Our heptagon shaped pill organizer is a distinctive medicine planner with seven compartments that allows you to store your everyday pills in batches, but separately at the same time. 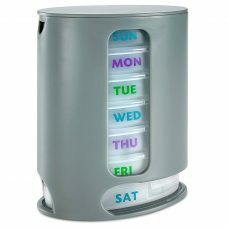 STRONG AND DURABLE: Our pill reminder is made of rugged and durable translucent plastic. It won’t break easily even if mishandled. 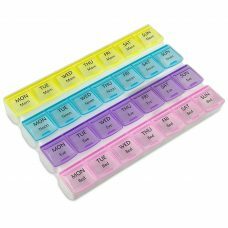 SAFE AND CONVENIENT: High quality and safe polymer has been used to forge our pill weekly pill organizer. Each of the 7 compartments has separate push button lids for easy pill removal. 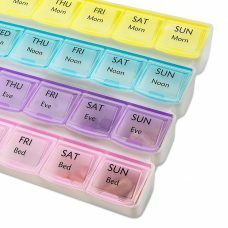 PERFECT 7 DAY MEDI-PLANNER: Each lid has a marking of first letter of one weekday, so you can plan your 7 day medication perfectly with our pill organizer. 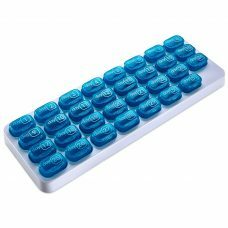 As they are translucent, you’ll know if you have taken your dose without even opening the lids. TRAVEL-FRIENDLY DESIGN: The boxes are very light in weight and small. These are specially designed for those who love to travel.